When a flight obsessed boy wanders through the woods by his house, following the call of a strange little bird, the last thing he expects to find is a ghost pilot from World War II. The only thing more shocking than this impossible discovery is where that pilot takes him. Forty years ago Gregory Chase disappeared in the basement of an abandoned house. Now, on the eve of that home being condemned, a group of unlikely friends decide to play a game of Hide-N-Seek. But the ghosts of yesterday don’t want the children to leave, or discover the truth of what actually happened once upon a horrible time. Davy has finally pushed his parent’s too far. After months of being obnoxious, they’re finally shipping him off to Camp Tuki — or “Camp Terror” as everyone calls it — a camp for “bad kids,” like Davy. 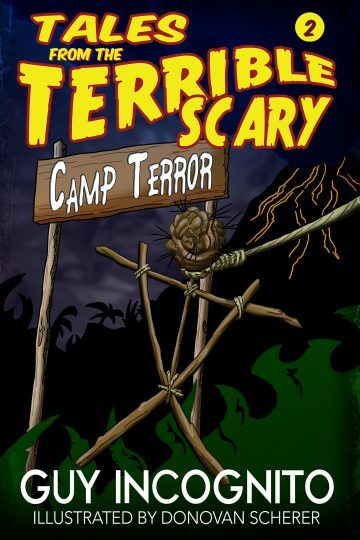 He’s sent to learn responsibility and manners, but things at camp quickly go from bad to worse. Children are disappearing and the adults are nowhere to be found. The counselors are the only people who can keep the children safe, but that seems to be the furthest thing from their minds. Now Davy and his new friends are forced to survive impossible obstacles, an evil, lurking darkness pursuing them, and reach the end of their long week of screams.